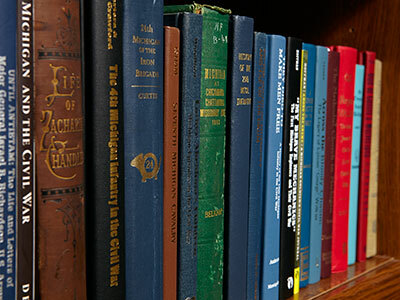 Books - You will be able to find books still in print that are about Michigan in the Civil War. In most cases, you will have the choice to link out to an outside vendor and be able to purchase that book directly. Go to the Books page to see the many works on Michigan. On-line Books - Many books with excellent information are out of print. Thanks to digitization services such as Google Books, many of them are now becoming available again. On this Online Books page, you will find a collection of these great resources. Authors - Visit here to meet authors of Civil War books who have ties to Michigan. You can find them in the Authors page. Blogs - As media advances, so do the ways in which we communicate. Though blogs are a modern means of communication, that doesn't stop their owner from speaking on historic topics. On the Blogs page, you will find blogs which mention Michigan and the Civil War.